What to do when the next generation finally comes to church? In today’s post we want to discuss another hallmark of today’s postmodern young adults, which is that they are experience-oriented. They are not as interested in sitting in a classroom hearing about rock climbing as they are in actually climbing a rock wall. They are not as interested in learning about acting theory as they are in actually standing on the stage and performing. They are not as interested in reading about South America as they are in visiting South America, meeting the people, speaking the language, and eating the food. That today’s postmodern young adults prefer to be fully engaged in what they are doing has given rise to extreme sports and other experience-based adventures. Many churches have struggled to keep young adults attending worship services because they oﬀer little in the way of experiences during typical worship services. While some cutting-edge churches are experimenting with new kinds of worship, being a person that takes the Bible pretty much as it is written, I wonder if perhaps we should consider going back to the ancient ways of the early church instead of seeking some new experience. For example, in the early church, a large group did not sit and just listen to a person speak. They often interacted with the speaker and asked questions. Paul even had to address this in one of his letters to the church of Corinth because the question-and-answer time had gotten out of hand and begun to distract from the point of worship (1 Cor. 14:26-40). But Paul did not discourage the discussion-based lessons. Instead he gave directions for how to make them more eﬀective. Early worship also utilized the experience of communion much more frequently than many evangelical churches today. They actually passed a loaf of bread around the room on a regular basis, and each person broke oﬀ a piece and ate it. That is so diﬀerent from the once-a-quarter prepackaged communion wafers some churches use today. Could we use communion as an experiential way to explain the gospel and holy living on a more regularly basis? Baptism was a bigger experience in the early church than it often is today. The early church only practiced full-body immersion of adult believers. Full-body immersion of an adult believer is a much more powerful experience than a few drops of water sprinkled on the head of an infant, which is often how baptism is practiced today. Though I do not want to stand in judgment of any particular church’s custom and traditions, perhaps if people made their own choice to be baptized and we used this more experiential method, it might mean more to those being baptized? In the Bible, the music was experiential. They clapped, they danced, they raised their hands, and they responded to God in worship with their entire bodies. That is so different than many churches today where the audience just sits and listens to the choir, the special music and the preacher. Prayer was experiential in the early church. Jewish men raised their hands in prayer and rocked back and forth as they called out to God. There is very little prayer left in the modern church, and what prayer is done is often by one person and seems more like filler between two parts of the service than the calling out to God that it is supposed to be. In the ﬁrst century of the church, every aspect of worship was experiential. Somehow we have twisted worship into a program where we are spectators rather than being participants in an experience we have with the Creator of the universe. Young adults sense that program-based worship is lacking something signiﬁcant even when they are unable to articulate what it is. We must return to biblical worship, which has a strong element of experience, if we hope to reach postmodern people. This does not mean we have to embrace some odd neo-modern experiences, we can simply return to more biblical models that are already in scripture. After all, the Word of God is relevant in all time periods to all cultures and all people groups. But we have allowed our own human culture to corrupt our worship. It we can shrug off our culture and return to the Bible, we may be surprised just how well it works to reach the next generation. In the last two posts we have discussed the importance of using music to reach the next generation. You may want to read the first post here and then read the second post here. As we continue that discussion, it should be pointed out that since young people often use music as a means of communication, they prefer music that allows them to talk to God instead of just about God. They want their music to be a conversation with the Living God; they do not just want it to state theological facts about God. That is why young people often do not like singing hymns. They may ﬁnd some hymns too impersonal because hymns often talk about God in the third person. Young people want to talk to God directly. They do not want to sing, “I will praise Him.” They want to sing, “I will praise You.” It is interesting to note that some of the older hymns that are more of a conversation with God are actually coming back into popularity because the next generation has discovered that those hymns express to God exactly what young adults are feeling. For example, “Be Thou My Vision,” an old Irish hymn written by Dallan Forgail in the sixth century and translated into English in 1905 by Mary Byrne, has become one of the most beloved songs of the next generation looking for a vision from God. A number of young musicians have taken old hymns and changed the pronouns from the objective third person to ﬁrst person, thus addressing God directly and expressing their love for the Lord in a fresh way. Churches that are willing to select songs that either already speak directly to God or that can be converted into such communication with God will ﬁnd young adults are more interested. Regardless of how comfortable we may be with our own sacred music traditions, churches that desire to reach today’s young adults will work through this issue and come to terms with the reality that music is a key factor in reaching them. The next generation wants to sing to God, not just about God. They want a variety of musical instruments. They would prefer that at least some of the music be more upbeat, though they enjoy quiet songs as well when they are used in a time of reﬂection and contemplation. If churches can learn to speak the same musical language as these young adults, they may be surprised at just how many young adults will become committed to the church. In our last post we began a discussion of how churches can use music to reach the next generation. You can read that first post here. As we continue the discussion in this post it is important to point out that churches sometimes resist changing their music by accusing more modern Christian music of being shallow. While it is true that in the 1970s much of the praise music seemed like it used ﬁve words repeated ten times, which resulted in theologically weak lyrics, praise and worship music has significantly evolved in the past forty years. Modern praise music is no longer shallow. Those who persist in thinking this fail to grasp the depth of adoration for God that wells up from deep within young adults when they sing and play music to the Lord. While young people do prefer the music to be upbeat, what is more important to them is that the music is ﬁlled with spiritual passion. Paul Baloche is a worship leader and proliﬁc songwriter of many top contemporary Christian songs, including, “Open the Eyes of My Heart,” “Above All,” “Hosanna,” “Oﬀering,” and “Your Name.” Writing about the growing desire for authentic worship among young adults, Baloche says: “I’ve found that this generation is not looking for another show, another competition, or another place to feel inadequate. They seek authenticity. They seek people who are genuine through and through.” Worship is supposed to be the heart’s cry to its maker. The leaders in worship should be focused on a genuine expression of the heart, not simply a performance. Though many criticisms of the worship music of the past were genuine, the growing desire to actually connect with God in a real way is what is now fueling young adults to worship God intently, even if their style of music is not the typical in many churches. Skeptics of modern Christian music run the risk of following the example of Michal, the wife of David, who despised David’s passion for worshiping the Lord in 2 Samuel 6. In the Bible, music was a personal interaction between worshipers and God. Psalms was the early hymn book of the church. When we read the Psalms, we see intimate personal exchanges between a holy God and His people. That is why many modern worship songs are drawn from the Psalms or other Scripture passages. Though more traditional Christians may not like to admit it, many modern worship songs are far more biblical than some traditional hymns because they are drawn directly from Scripture and sung directly to God, which was the original intent of the Psalms. When we wrongly criticize “modern” Christian music, we might actually be criticizing the Bible, something most evangelicals would prefer to avoid. Young people’s preference for a band instead of just a piano and organ also can be a challenge for a congregation that is used to traditional accompaniment. To ﬁnd solutions to this diﬃcult issue, we once again must turn to the Bible for guidance. When we read Psalms, we see that a number of instruments were used. Biblical worship used a band not just one or two instruments. In fact, worship was a group celebration in the Bible. Yet far too many churches have turned it into a formal program instead of a personal interaction with God. No wonder young adults are often turned off by it, and rightly so. Church leaders must ask hard questions about our music. Have young adults actually rejected “biblical” worship, or have they rejected the man-made creation that we now call worship? If we look to the Bible for our worship guidelines, we may be surprised how much it appeals to young adults. In the last few posts we have been discussing how churches can reach the next generation. We have covered the issue of technology in two posts (read the first one here, read the second one here). Now we will turn our attention to perhaps one of the most controversial issues in church life today, the issue of music. Though the style of music a church uses can be a touchstone that many pastors want to avoid, the reality is that churches will eventually have to discuss the delicate issue of what type of music to use in worship. The language of today’s young adults is music. Churches that understand this new language will be able to reach young adults more eﬀectively. Many churches falsely think that if they just add drums or guitars to their worship services, then they will automatically reach young people. While it is true that most young adults prefer music that has more bass and is more upbeat than traditional Sunday-morning fare, just speeding up the tempo and adding a drum will not keep young people coming to church. The secret to communicating to young adults through music is to understand that young adults use music to express their emotions. For young adults, music is how they communicate with those around them. They sing about their experiences and how those experiences make them feel. They use song lyrics as Facebook posts and in text messages to communicate how they feel about themselves, other people, politics, and their personal experiences, as well as what they think about spiritual issues. 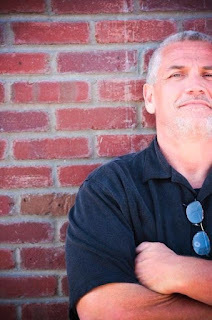 Danny Ferguson is a professional youth minister serving with Youth for Christ in Langley, Canada. When discussing the critical issue of music, Ferguson says “Music can be a gateway to understand life and God.” This is true for the next generation. They see music as a gateway to their relationship with God. Sometimes churches use music as a filler between other parts of the service, and that just does not speak to the next generation at all. But when used effectively, music can be a powerful medium to communicate gospel truth to the next generation. In our next post, we will talk about the difference between hymns and modern worship music. In the last few posts we have been discussing what to do when the next generation finally comes to church. Yesterday, we discussed how to use technology to reach the next generation (read that post here). As we continue that discussion today, it is important to point out that though technology is important to the next generation, churches must balance the use of technology with a sense of the sacred. While the majority of young people may have wandered from the church traditions of their childhood and may even question the historical teachings of the church, they often still have a vague memory of the sacred. Since many people in these situations grew up in more formal worship environments, they often believe some of the more formal elements of worship are sacred. Therefore, churches seeking to reach postmodernists should rediscover some of the more liturgical aspects of worship, even if that is not typical of their particular worship style. It is important to note that there is no need to adopt all the practices of liturgical churches. After all, people are leaving those churches because they ﬁnd the services to be dry and dull. However, combining one or two of the more liturgical elements with the use of technology, vibrant music, experiential worship, passionate preaching, and a welcoming atmosphere creates a powerful experience for postmodern people. Faith Community Church in Barre, Vermont, uses a high degree of technology in its services. All the songs are projected on the wall, as are the Scriptures and notes from the sermon. It is not unusual for a video to be incorporated into the service. Despite the use of technology, Faith Community Church also lights candles before their services, quotes the Lord’s Prayer at almost every service, encourages people to use kneeling benches, and celebrates communion together much more frequently than many churches in the Southern Baptist Convention, of which they are a part. Combining these technological and sacred elements has allowed Faith Community Church to connect to a large number of young people. Churches can use technology in innovative ways without losing the sense of the sacred during a worship service. This is part two of a series of posts on What to Do When the Next Generation Finally Comes to Church. It may be helpful to read the previous post in order to understand the context of this article. Postmodern young people have grown up in a very technological world. They have come to expect technology to play a signiﬁcant role in their lives. Because postmodern people grew up surrounded by technology, it is the only way many of them know how to learn. Churches can use this to their advantage by becoming good at utilizing such tools. If we as leaders do not know how to use technology, we may want to invest some time in learning how. There is nothing unbiblical about projecting the words of the songs or the notes from the sermon on the wall. It does take time to prepare, and it does take some advance planning. It does impact the level of organization that is required to put a worship service together. However, churches that want to reach the next generation do not mind investing time and eﬀort into such advance planning. It might be worthwhile to consider what the Bible says in 1 Corinthians 14:40, “But everything must be done decently and in order” (HCSB). Using technology in the worship service is simply taking that planning and organization to another level. Technology can also be used before or after the worship service to encourage discussion and Bible study. Facebook is a great tool for posting review questions or to initiate follow-up discussions based on the sermon. Many churches have small-group ministries. For many young people, Facebook groups are one expression of the small group of the future. When we invest time and resources to learn how to use technology eﬀectively in worship services and ongoing ministries, we will reap rich rewards. Churches that have a vision to obey the Great Commission must become intentional in their eﬀorts to reach the next generation. Churches who seek to reach out to this group will venture outside the walls of their buildings and into the communities around them. Churches will engage the culture with the gospel by meeting speciﬁc community needs, helping the less fortunate, viewing evangelism as more of a process than an event, helping young people deal with pain, and explaining why it is logical to believe in God. Only after we use these techniques to build bridges to postmodern people will many of them be interested in discovering who Christ is in their personal lives. That process of discovering Christ will eventually lead them to attend church. We want them to have a positive experience when they ﬁnally decide to visit a church so they will continue to progress in their spiritual journey. We want them to continue to learn and process what it means to be part of the body of Christ through meaningful involvement in a community of faith. We cannot give up biblical principles to please postmodernists. Otherwise we will have defeated the purpose of all our eﬀorts to share such principles with them in the ﬁrst place. Therefore, we will want to ask ourselves what we will do to help young people have a worship experience that is both culturally relevant and biblically sound when they ﬁnally come to church. Based on my experience with young people, there are six things we can do in our worship services that will speak to the culture of young people without violating biblical principles. 1. Use a lot of technology. 2. Maintain a sense of the sacred. 3. Have music that will move them closer to God. 4. Have a worship service that is experiential. 5. Use sermons that are delivered passionately and include relevant application to real-life issues. 6. Help all who visit feel like they belong. Over the new few posts we will look at each of these six things in more detail. I have been kicking around this idea about a strategy for igniting a Church Planting Movement/Disciple Making Movement. It is not new to me and others have discussed it in terms of how Christ made disciples. I'm just applying it to CPM's/DMM's. I would love to hear your thoughts on it. In the 4 Gospels we see three different invitations that Christ and His disciples extended to people depending upon their level of commitment. The First Invitation: COME & SEE: This was an invitation for people to come see and experience the power, presence and message of Christ. Sometime these turned out to be a large gathering of people but only lasted a day or two. As ordinary people came they got to meet Jesus, hear his teaching on the Kingdom of God, experience his power when he performed miracles and healings and they would receive an invitation to join him in a deeper committed which was the second Invitation. The goal of this event was to discover the Person of Peace who would open their home that would form the beach head for the new movement and to find those who were prepared to follow Jesus and become His disciples. The Second Invitation: COME & FOLLOW: These were people who were willing to leave everything to come and follow Christ. They considered the cost of discipleship and made a decision to be Christ's disciples. As they did Jesus taught them how to become spiritually mature through laying a strong foundation of himself/Christ and his teaching, about living in the Spirit, how to relate to one another, spiritual warfare and pursuing His mission. As he watched and prayed he then would extend a third invitation to some of those the Father identified. The goal of this following was to establish his follower to be strong in their faith and to identify those who would form the apostolic leadership from which the movement would gain momentum. The Third Invitation: COME & BE WITH ME: The few that Jesus identified through prayer He made them to be His apostles. He would teach them to do what he did and implement the same pattern (come and see, come and follow and come and be with me). They would watch Jesus do it, they would practice it under His supervision and he would them unleash them to go do it themselves in teams. As they did the work they then would gather those who were identified from the Come and Be With Me to be the second generation of apostolic leadership and then repeat the process. This time not with just twelve but with seventy-two. It is here with this third group THE COME & BE WITH ME that we see the rapidly reproduction begin to happen. They were the apostolic leadership that would leave to go to other unreached groups to share the gospel. As the process was repeated over and over again more disciples increased and more apostolic leadership were developed thereby increasing the momentum of the movement. It is important to note that this strategy was used to raise up, train up and unleash ordinary christians, people, to create this church planting movement. The church planting was done by ordinary christians who had no special training. These regular guys were used by God to do some pretty extraordinary and amazing things. These ordinary christians or regular guys were the one's that God used to be His missionaries! What if we were to follow the same pattern? What would it look like in N. America? What would COME & SEE EVENT look like? What would a COME & FOLLOW GROUP look like? And what would a COME & BE WITH ME TRAINING look like? Share your thoughts in the comments space and let's brainstorm and begin to experiment and see what God does. In the last few posts we have been discussing how to use logic in our efforts to evangelize the next generation. Using logic as an evangelism tool can be delicate work because words can be twisted out of context and made to prove points that clearly are not accurate. However, if we hope to reach young people with the gospel, we must learn to use some level of logic in our eﬀorts. This is important because many honest skeptics are sincerely looking for truth. We should seek to answer their questions not only with Scripture but also with logical conclusions based on evidence God has clearly built into the universe He designed. We can also expect to encounter dishonest skeptics who just want to argue. Dishonest skeptics are a greater challenge because, despite their claims to be open-minded, they are not actually interested in learning from other perspectives. Christians must be careful not to their waste precious time and energy arguing and debating with those who are not interested in hearing the truth. Instead, Christians should focus on those who are actually looking for truth. Christians should help honest seekers discover the logical path toward God. Though that path will require faith, it does not require blind faith. Christians must remember John 6:44, which teaches, “No one can come to Me unless the Father who sent Me draws him” (HCSB). When the Spirit begins to draw people to Christ, those people begin to see God in various ways because God will reveal Himself along the way. A realization of God’s presence stirs up faith in them, which allows them to look more earnestly for God. The result is that when they ﬁnally come to faith, it seems like the most logical conclusion they could possibly make. Christians who want to witness eﬀectively to young people will trust more in the Spirit and less in their own debating skills. That does not mean Christians should not be able to defend the faith. It simply means that once we have shown people the truth, we must step back and give those people time to process what we have shown them and give the Spirit time to work in their lives. We must not allow our human tendency to get angry with those who disagree with us to emerge. Arguing from anger never produces positive results. While we wait for young adults to process what we have shared with them, we must engage in earnest prayer for them. James 5:16 reminds us, “The prayer of a righteous person is powerful and eﬀective” (NIV). We should never underestimate the power of prayer. In our evangelism eﬀorts, it is a tool that that can soften the hardest heart. If Christians spent more time in prayer for their non-Christian skeptical friends, we would find that the Spirit would empower us with the right words to say and the wisdom to know when to say them. Let us commit ourselves to more fervent prayer. We have been discussing on this blog the concept of how logic and faith interact. It is my position that logic leads us to believe in a Creator and that such a Creator must have had a purpose for the creation. If we discover what that purpose is, then we can fulfill it more readily. This would mean that we need to get to know the Creator so we can come to understand his purposes. I have made a variety of logical points over the last few posts to support this position. We could debate various points of logic without end. But at some point, we have gathered enough data to move beyond debate and start drawing some logical conclusions. Those conclusions, when based on facts, can give us the conﬁdence we need to know there is a God and that He wants to be involved in our lives. Love compels us to help those who are not yet at the point of drawing such conclusions move to such a point. Below is a modern parable I wrote that I often give to people who are struggling to make that ﬁnal step of faith. There was once a little boy named Josh. He was fascinated by science and wanted to know how everything in the universe worked. Even as a little boy, Josh asked complicated questions that had only complicated answers. When Josh grew up, he got a job in a scientiﬁc laboratory working for the famous Dr. Reason. Dr. Reason was well known for doing excellent research and producing scholarly reports about that research. As the years passed, Josh was able to be part of exciting research that answered many of his questions about how the universe worked. When Dr. Reason ﬁnished a major project, he always published an article in a well-respected scientiﬁc journal. The research was meticulous, and the conclusions were rational. Dr. Reason was so careful in his research that no one had ever proven wrong any of the conclusions in his articles. Josh respected Dr. Reason for the research he did and for the solid conclusions in the articles Dr. Reason published. The longer Josh worked for Dr. Reason, the more their relationship evolved. In time, they became great friends—perhaps even best friends. Dr. Reason would remember little details about Josh and use those details to make Josh’s life more joyful. For example, Dr. Reason remembered that Josh liked chocolate cake, and so he would bring chocolate cake to the lab when it was Josh’s birthday. Though Josh did not have quite as good a memory as Dr. Reason, over time he realized that Dr. Reason like baked chicken. Because of this, Josh would often bring baked chicken to the lab for lunch and share it with Dr. Reason. Dr. Reason was also willing to help Josh when he needed it. When Josh’s car broke down, Dr. Reason gave him a bonus in his paycheck. When Josh’s grandmother passed away, Dr. Reason came to the funeral and sat next to Josh. Though Dr. Reason’s scientiﬁc research and scholarly articles meant a lot to Josh, it was all these other things that really made Josh and Dr. Reason friends. One day Dr. Reason published an article in a journal about a project he had been working on in a different laboratory. Josh knew that Dr. Reason had a number of other labs where he was also doing research. Josh was vaguely aware of what was going on in those labs but did not know all the details like he did in his own lab. When the new article came out, many people did not like Dr. Reason’s conclusions. Josh did his best to defend Dr. Reason’s work, but since he did not know all the details of what was being done in those other labs, he was not able to give as good an answer as he might have liked. Josh asked Dr. Reason for details, but the research was so complex that Josh really could not fully understand the explanation. Josh tried to explain to others what he did understand, but his explanations were inadequate. People began to pressure Josh to abandon his friendship with Dr. Reason. People said Josh’s faith in Dr. Reason had blinded Josh to the truth, but Josh was not moved from his belief in Dr. Reason’s abilities or intelligence. Josh patiently explained to others that while he was indeed exercising faith in Dr. Reason, it was not blind faith. From Josh’s perspective, it was only a small step of faith, not a giant leap of faith. Josh’s faith was based on his past experiences with Dr. Reason. Josh had this perspective because Josh knew Dr. Reason really well. Dr. Reason had proved himself to Josh, not only in the scholarly research and well-written articles but also in their friendship. It was not blind faith but informed faith that Josh placed in Dr. Reason. Many people could not understand Josh’s perspective. At ﬁrst Josh was frustrated with these people, even a little angry at some of them. In his frustration, Josh said a few things he should not have. But in time Josh realized these people could not understand because they did not know Dr. Reason the way he did. Though Josh really did want to know all the details about Dr. Reason’s other project, he knew Dr. Reason well enough to accept that in time, all would be revealed. Josh was comfortable in his logical step of faith and remained Dr. Reason’s lab assistant. Many people did not understand Josh’s choice, but Josh knew it was the right one, so he was at peace with his choice even if others did not understand it. What is the meaning of this parable? Many people say that Christians blindly follow a God for which there is no scientiﬁc proof. But to Christians, God is revealed both in the Bible and in their personal experiences with Him. Christians read the Bible and ﬁnd parts of it very easy to understand and explain to others. Other parts of the Bible are more difficult to understand and explain. Christians have built such a close relationship with God that they have faith to believe in the more difficult aspects of His will and ways. Those who are not Christians may call it blind faith or a leap of faith, but for Christians who have a personal relationship with God, it is not a blind leap of faith at all. It is more a logical step of informed faith than a blind leap. Though others may lack the ability to understand that informed step of faith, to Christians it is simply the next step on the logical journey toward a God of truth. For the last few weeks we have been talking about how logical it is to have faith in God. As we continue that discussion, we turn our attention to the sheer number of supernatural events that happen in the world. These supernatural events point to the existence of a supernatural being. 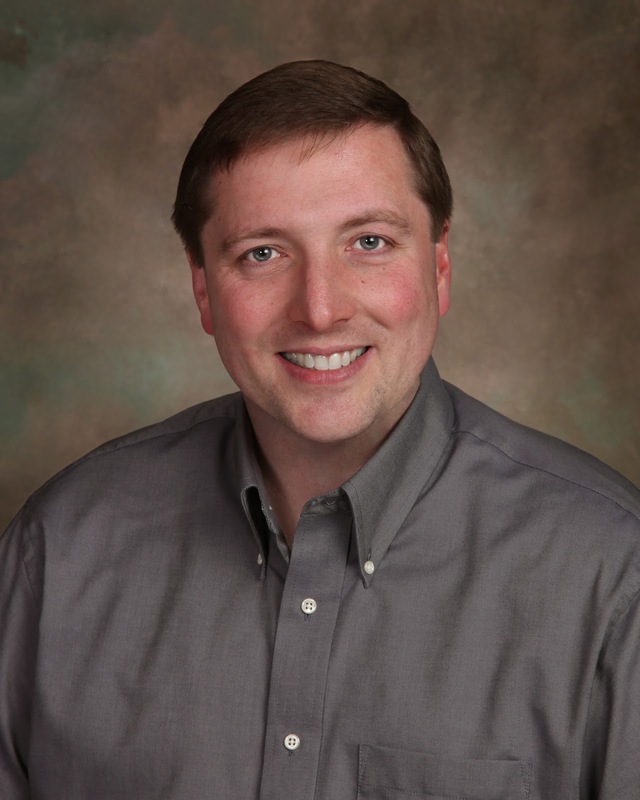 Jeffery Long, a physician practicing radiation oncology in Tacoma, Washington, sits on the board of the Near Death Experience Research Foundation. That group has collected over twenty-ﬁve hundred extensive accounts of people who have had various supernatural near-death experiences. These people come from all walks of life, various religious backgrounds, and many different nations. Dr. Long concludes, “Medical evidence fails to explain these reports and … there is only one plausible explanation—that people have survived death and traveled to another dimension.” So many people have had near-death experiences with such remarkable similarities that it is logical to conclude that something exists on the other side of death. Supernatural experiences do not just exist on the other side of death. Miraculous events also happen in our lives all the time. According to a Pew Research Center study published in February 2010, “Nearly 80 percent of all Americans, in fact, say they believe in miracles.” This staggering belief in the miraculous cannot just be coincidence or imagination. The sheer number of people who testify to having experienced miracles in their own lives leads to the logical conclusion that there must be some supernatural power at work in the universe. We know this supernatural being is still involved in the lives of individuals because this being listens to and responds to prayer on a regular basis. Numerous scientiﬁc studies on prayer show that prayer actually works. Because prayer can be a very subjective experience, double-blind tests were used. In double-blind tests neither the people being tested, nor the administrators controlling the tests, knew who was being prayed for until the test results were tabulated. This ensures that no one’s personal bias for or against prayer can impact the outcome of the experiment. In these double-blind tests, people who were prayed for healed faster than those who were not prayed for. Studies conducted in a number of ifferent settings showed the same results: the people who were prayed for healed faster. In any other ﬁeld, such a staggering amount of evidence would be adequate proof, but people who hold to an anti-God worldview refuse to accept the evidence. Those who really want to be logical, though, must conclude that the supernatural exists. If the universe has a Creator, that Creator must have made the universe for a purpose. Each part in that creation, including mankind, must be a part of that purpose. If people can discover what their part in the purpose is, they can fulﬁll that purpose more completely. Though there might be many ways of discovering that purpose, the most direct way is to learn and understand the Creator who initiated the purpose. Therefore, the most logical course of action for people to take is to search for a relationship with and understanding of the Creator and make it a key priority in life. Though some faith is required to accept that the Creator is God, instead of space aliens or some other intelligence, it is not blind faith; it is informed faith based on logical presuppositions. Dr. Terry W. Dorsett was called to lead a small congregation. Now, he uses his books to help churches make big changes. “I have always liked new adventures,” says Dorsett. That sense of adventure, he says, led him to leave larger churches and move to Vermont, the state with the lowest church attendance rates in the nation according to Gallup. 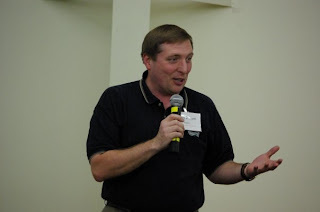 In Vermont, he started a new church and returned to school for his doctorate in mission administration. His experiences resulted in two books: Developing Leadership Teams in the Bivocational Church and Mission Possible. Dr. Terry W. Dorsett has authored two books; both are currently available in the CrossBooks bookstore. As a full-time pastor and church administrator, Dorsett’s biggest obstacle was finding time to write. Because CrossBooks is an imprint of B&H Publishing Group, the trade publishing division of LifeWay Christian Resources, deciding on a publisher was easy, Dorsett says. 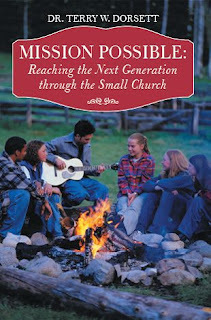 Now that his newest book, Mission Possible, is released, he can help small churches reach youth and challenge traditional churches to take risks in connecting with them. To reach church youth, Dorsett must first make an impression on the church decision-makers. He brings his books with him to all speaking engagements and conferences, and sells copies either in the bookstores or through his own booth. Additionally, Dorsett uses online tools to stay in touch with his fan base and reach new readers. He writes blog posts about topics from his books. And he says that when he tweets a link to his e-book, he sees a sales boost in just minutes. In his next book, Dorsett plans to share a true story of forgiveness: the story of how his family healed after a nearly fatal car accident and befriended the drunk driver who caused it. For other Christian writers, he has advice: Don’t write to make money. NOTE: The above article was in the February edition of the CrossBooks newsletter. On my blog the last few days we have been discussing the logical path toward faith that we can help people take toward God. We have already talked about how the incredible level of order in the universe points toward an intelligent Creator. In this post we will discuss how the ﬁeld of mathematics also supports the concept of a designer. Mathematicians have calculated that “the mathematical probability of a single cell coming about by chance is 1/10340,000,000.” For those who struggle with fractions that big, it means that it is a fraction of one divided by one followed by 340 million zeros. Even if a single-celled organism did somehow arise from nothing, for it to develop into a complex life form would have required countless numbers of mutations. Any eighth-grade science textbook will tell you that most mutations are negative, not positive. This makes it extremely improbable that a single cell mutated into something more complex. These mathematical facts create extreme diﬃculties for the concept that life arose on its own without an outside force directing it. The order of the universe and the field of mathematics both lead to the logical conclusion that there is a higher power at work in the universe. But those who refuse to see God in any of these logical arguments ignore rational thinking in their eﬀorts to remove God from their worldview.